Have you attended one of my stamp a stacks? Ever wondered what they are about and what you do there? 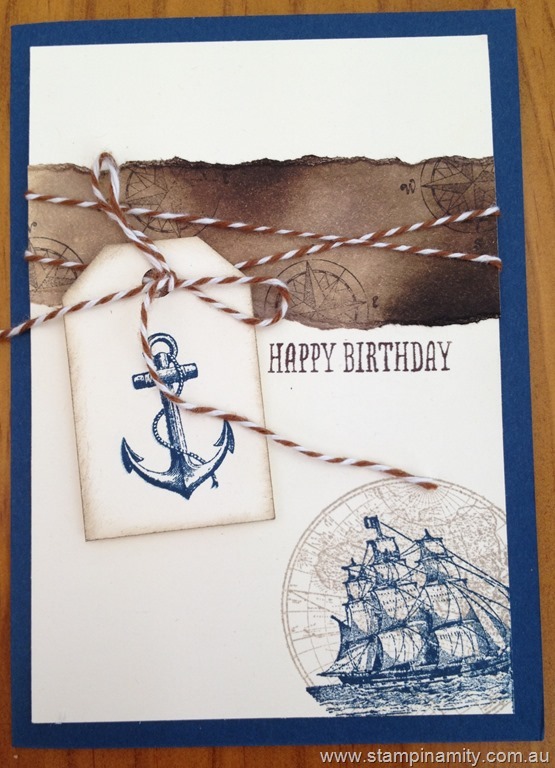 This video show 3 cards made in a stamp a stack using the fabulous set Balloon Celebrations. A stamp a stack is a class where uou make, generally, 12 cards. 3 different designs. 4 cards of each design. It’s a great way to build up your supply of cards. WHAT is a stamp-a-stack? Stamping a stack of cards. 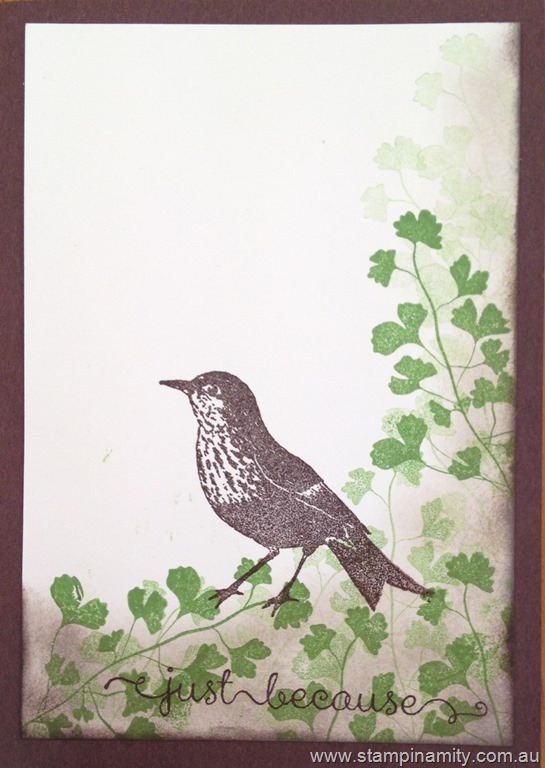 In my case I run my stamp-a-stack classes so participants make 12 cards for $25. Participants get to make 4 each of 3 different designs. That’s what usually happens. 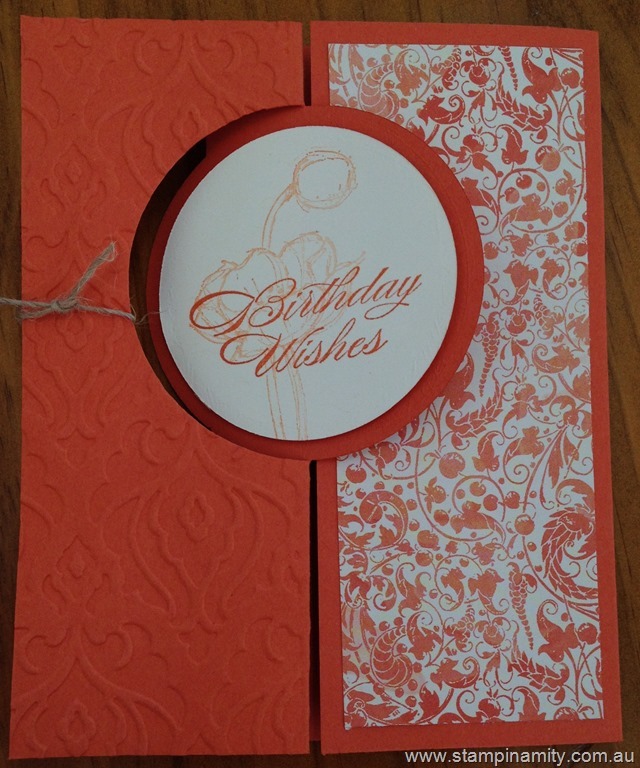 Normally you also get to choose your own sentiments to stamp too incase you don’t want 12 birthday cards. This class was slightly different. Participants made a box using the envelope punch board and only got to make 10 cards. They made 2 each of 5 card designs. Want to see the cards? This was made using Papaya collage and is on the retirement list. So if you like this card and want to make it don’t forget to purchase this stamp set while you can still get it. This has to be one of my favourite sets. This is The Open Sea and it is just gorgeous. Easy to use and very versatile. I just think this card is so effective. I don’t know whether it is the basic black that makes the card pop or something else. I Just love this card. 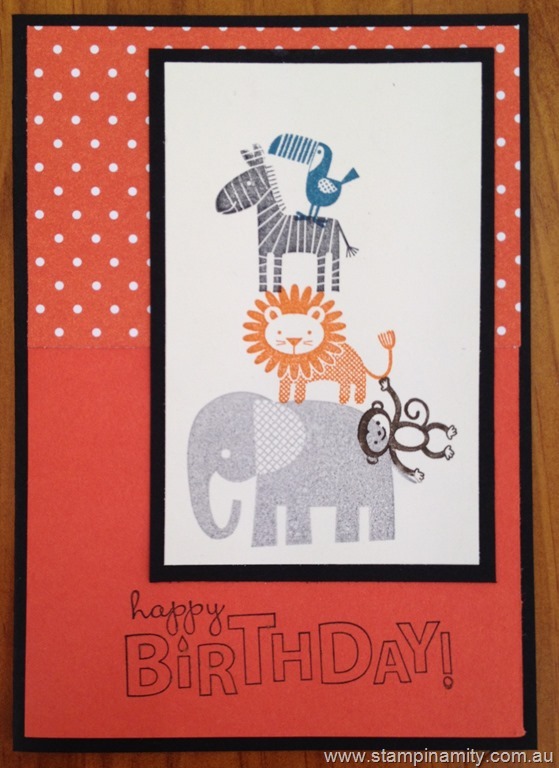 This uses Zoo Babies as the main stamp set. I don’t think you can get any more effective or simple than this card. Three ink pads to colour the leaves (I think it would be just as effective with one colour) and another colour to add the detail to the top. This is called 2-step stamping and it is one of my favourite (and effective) stamping techniques. Unfortunately this is another set which is retiring. Gently Falling is a stunning set and I’m very sad it’s retiring. I use it a lot especially in my scrapbooking. The die used to cut this set is just amazing. What a stunning card. So simple. Sticking with one colour really makes a difference and the fact that all the paper, cardstock and ink co-ordinate takes all the work out of it for you. Don’t you just love this embossing folder. This is beautifully baroque. I love it. If you would like to attend one of my stamp-a-stacks please don’t hesitate to contact me. Ever wanted to use the Stampin’ Up! wheels? Want to know how to use them with a mask? 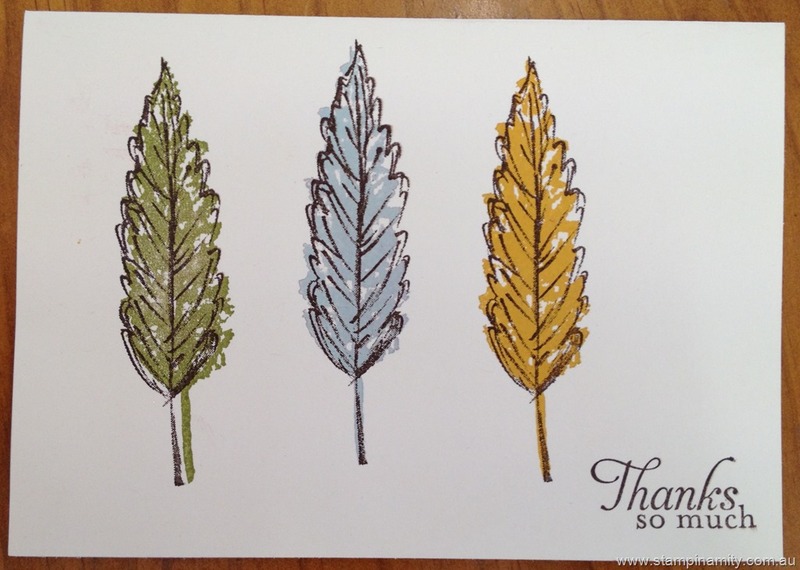 I have created a video using the Stampin’ Up! wheels. This card was part of my stamp-a-stack. It is easy and quick to do. So easy in fact I made a variation in one of my kids craft classes. I hope you enjoyed it. Please leave me some comments. I’d love to hear what you think. I’m so excited to be part of this wonderful day. Are you going to come and have a ball with us? Why not get a group of friends together for a fabulous day out together before the rush of the silly season begins? For more information contact me.